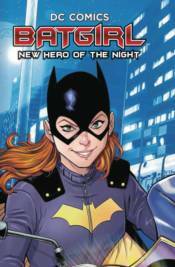 Barbara Gordon grew up idolizing Batman, the masked vigilante who protected her home of Gotham City. As she got older, she realized that one person wasn't enough to protect all the people of Gotham from the city's widespread crime - and she was ready to step up and help. But how did Barbara become Batgirl? How does she use technology to fight crime? What super-villains has she encountered? In this illustrated biography full of character profiles and fast facts, you'll learn everything you should know about the girl behind the mask. Part of the Backstories series, DC Comics fans will learn all about this resourceful young woman!